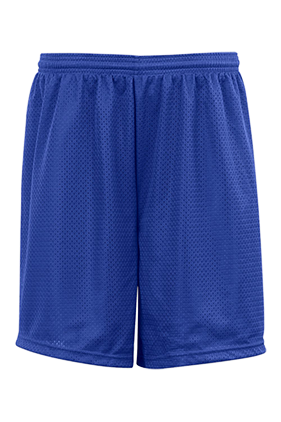 100% Polyester, 70 denier mesh with solid tricot liner. Athletic cut. Superior fit. Covered elastic waistband and drawcord. Seven-inch inseam.